Fashion brand Coach has released several new fashion bands for the Apple Watch, which are available in a range of colors and designs, for both men and women. New designs for men and women include the Strap with Heart Applique in Dusty Rose, the Strap in Signature Canvas in Khaki, and the Strap in Saddle. 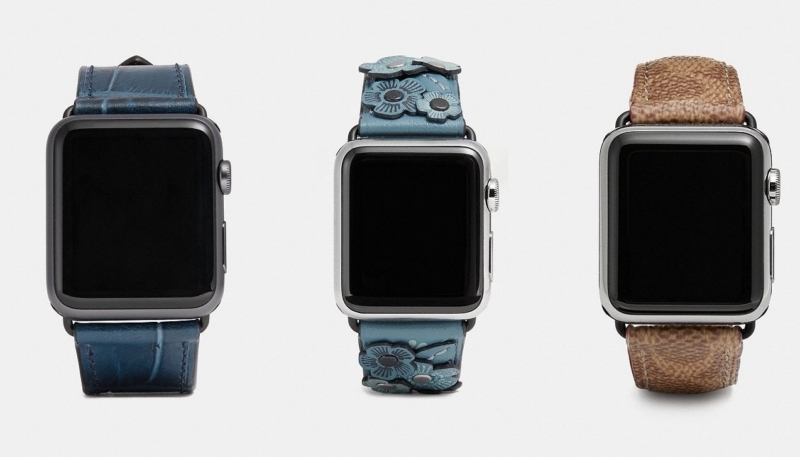 Added color options include the Strap with Tea Rose in Chambray, the Strap with Prints in Black Floral, and the Strap in Denim. All of the new bands run from $150 to $175, making them competitive with Apple’s own leather bands, for which it charges $149. Coach and Apple both release new bands on a seasonal basis, phasing old offerings out as new bands debut.